The A25 SECURITY BOOTH's interior has a sophisticated high gloss cherry wood finish. The ample floor space is also designed with cherry Armstrong flooring or an attractive faux tile. The 25 square foot interior ensures an abundance of room for a table, chair and cabinet provide necessary workspace for added value. 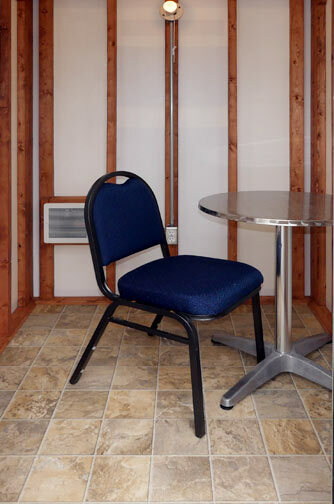 A convenient optional furniture package is also available through CALLAHEAD with any A25 SECURITY BOOTH rental. The A25 SECURITY BOOTH is a CALLAHEAD innovation that is unavailable anywhere else. Only CALLAHEAD develops equipment utilizing only the highest quality materials to supply our clients with the greatest value with every rental. 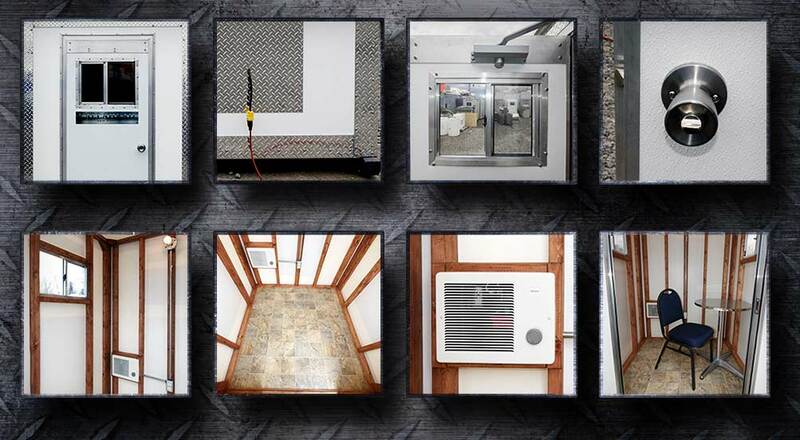 Since 1976 we have been consistently designing and developing cutting-edge equipment for New York. 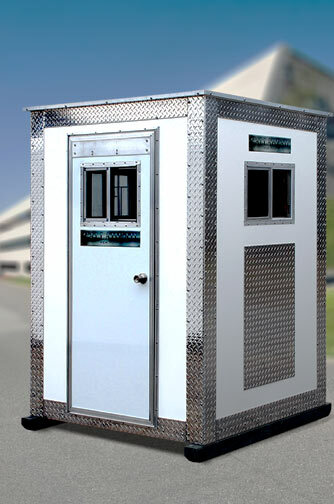 The A25 SECURITY BOOTH rental is available for same day delivery. As with all of CALLAHEAD's equipment, the A25 SECURITY BOOTH will be delivered to your location by a CALLAHEAD professional delivery specialist. In uniform, our delivery specialist will arrive at your location in one of CALLAHEAD's signature delivery vehicles and position the A25 SECURITY BOOTH in your desired location. CALLAHEAD unmatched service is available throughout New York City's five boroughs Manhattan, Brooklyn, Queens, Bronx and Staten Island, Westchester County and all of Long Island's Nassau and Suffolk Counties. 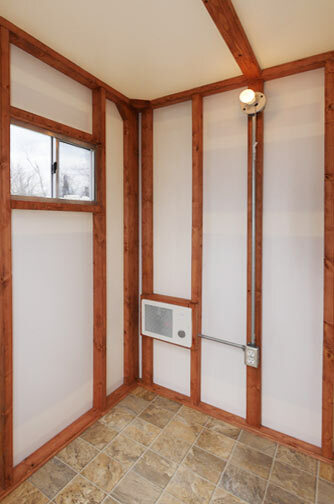 CALLAHEAD is the leader in the portable sanitation industry. For decades, we have been committed to delivering groundbreaking equipment and service in New York. 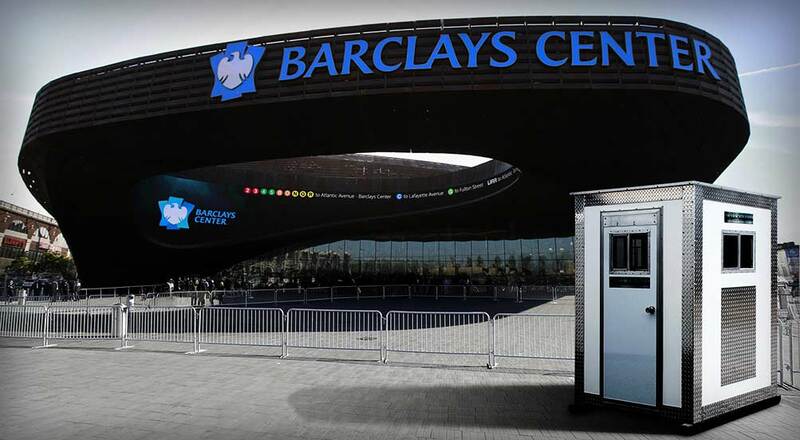 When you want the best without the worry, only CALLAHEAD New York can deliver a positive experience for all of your portable sanitation and security booth needs. Below is a list of locations and job sites where the A25 SECURITY BOOTH is most commonly rented and recommended. This is the perfect portable guard house rental to secure any location and venues in need of portable ticket, attendant and cashier booths. 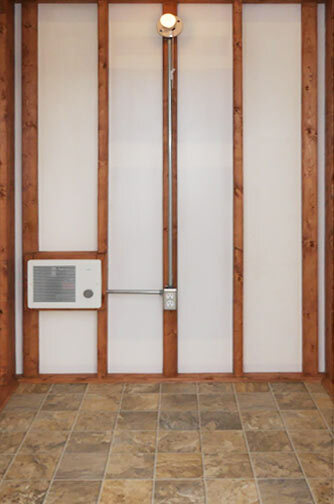 The A25 SECURITY BOOTH is an oversized security guard booth that will definitely add value to the job site. 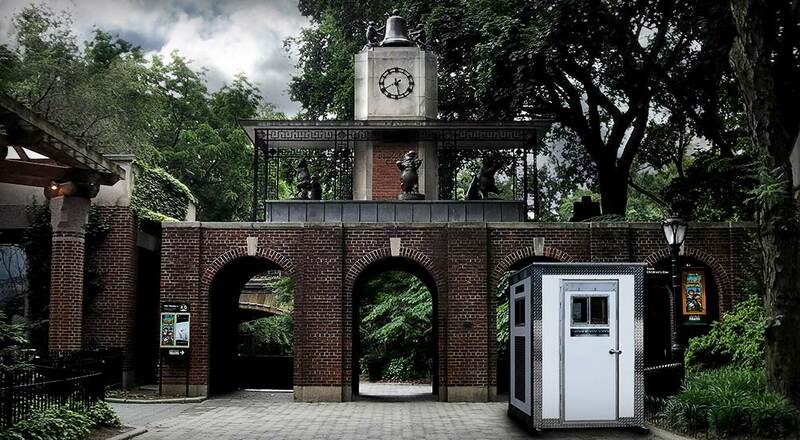 Designed and developed by Charles W. Howard, CALLAHEAD's President and CEO, to deliver the best portable security booths in New York. 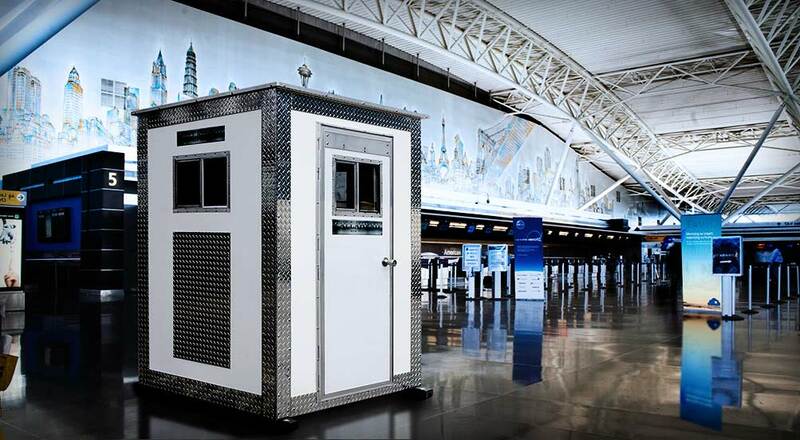 The A25 SECURITY BOOTH is the ideal guard booth rental to provide every tour of duty a roomy interior for safety and comfort. The attractive, yet durable, exterior will look amazing in front of landmarks, office buildings, stadiums, government buildings, museums and estates. 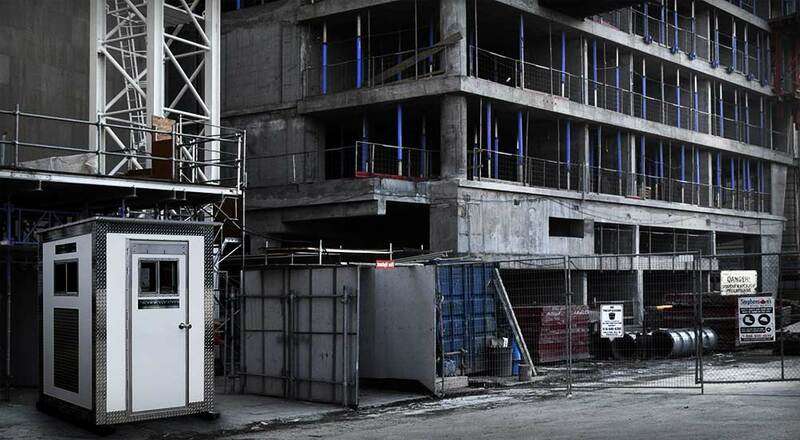 The A25 SECURITY BOOTH is the perfect guard booth rental for construction sites to secure any location for public safety and theft. 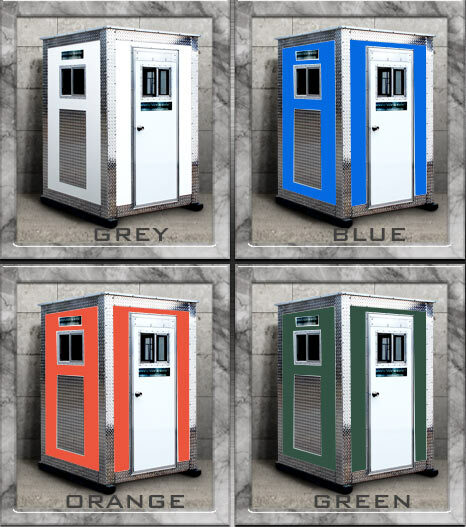 This upscale security guard booth is a CALLAHEAD exclusive design that assures to add distinction to any location. 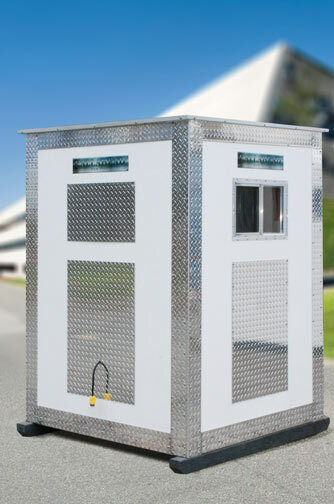 The A25 SECURITY GUARD BOOTH is also the preferred choice for seasonal short term rental locations in need of portable payment and ticket booths such as park and recreation locations, carnivals, concerts, beach and pool locations, sporting events, red carpet events, university and school athletics, parking lots, zoos and festivals or any location that require a portable ticket and cashier stations. The A25 SECURITY BOOTH is constructed of high density polyethylene marine grade plastic. 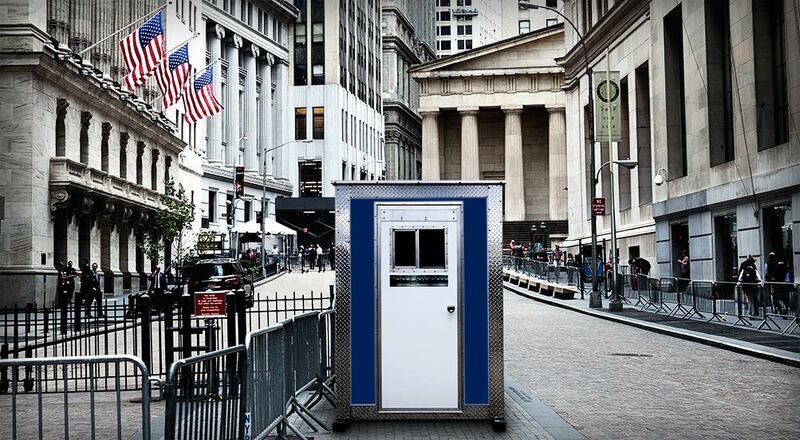 This portable security guard booth was built using only premium heavy-duty materials. The marine grade diamond plate aluminum and built-in marine grade stainless steel fasteners, provide strength and sophistication that is unmatched. The Dolphin Gray color and polished aluminum finish look spectacular. The ornamental design of five various metals, makes the A25 SECURITY BOOTH stand out like no other guard booth ever designed. 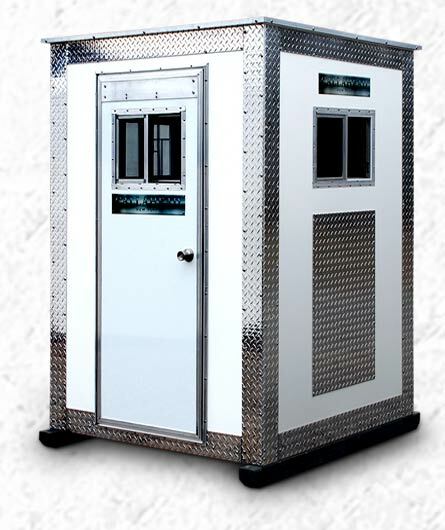 This extra large security booth has a commercial grade aluminum auto close door. 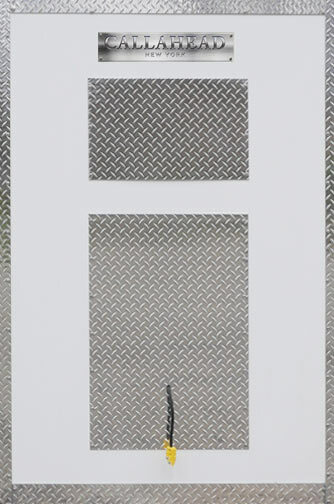 The guard booth's door has a key locked entry as well as an interior locking system. The A25 SECURITY BOOTH is completely weather tight to endure every New York climate. 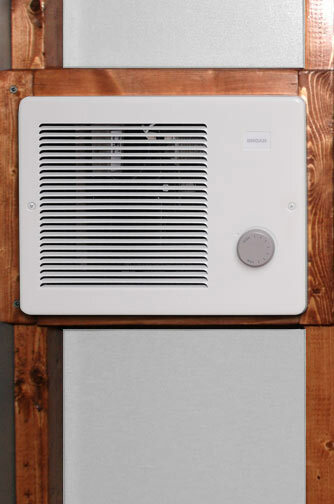 An installed thermostat controlled 1500 watt fan forced Braun heater will deliver a comfortable workstation for security guards even through New York City's below freezing temperatures. Three sliding windows with screens will provide sufficient airflow inside the security booth. 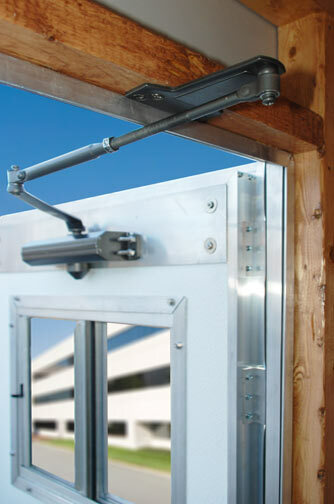 The windows are equipped with a locking system for extra security. 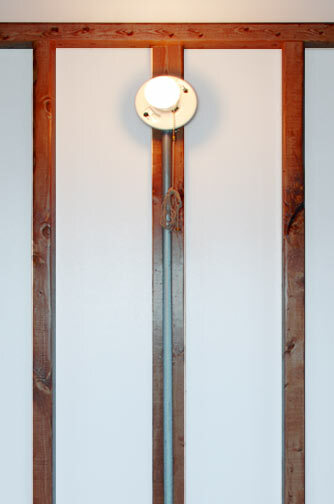 An interior porcelain pull chain light fixture delivers plenty of light for nighttime and evening use. 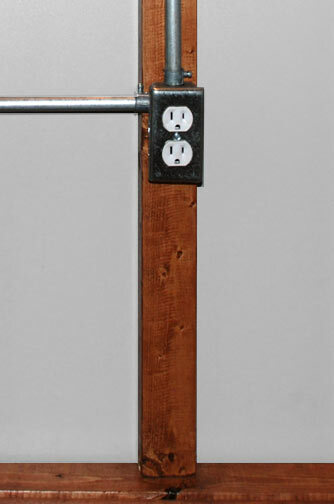 There is also a 4 way 110v electric outlet installed inside the security booth for convenience.